Steel Roofing can be expensive in Minnesota, that’s why we offer so many different choices, giving the most flexible steel and metal roofing choices in Southern Minnesota. One of our steel roofing brands comes in the form of Metro Roof Products, a major player in the steel and metal roofing industry. Metro’s steel roofing products are trusted by home and business owners everywhere, trusted because of it’s quality and beauty. Metro Steel Roofing comes in a batten-less design that is changing the re-roofing industry. Metro roofing products come with tiny wood grain impressions, giving your roof a beautiful and natural style. Metro Shake II – Metro’s Shake II Steel Roofing has a finished stone coating embedded with UV resistant acrylic polymer for a long lasting bond that will protect your steel roof for years to come. Metro Shake II comes with a 120-mph wind warranty, and a 50-year limited warranty. Metro Tile II – Metro’s Tile II Steel Roofing is a new state of the art batten-less roofing product. Every panel in the Tile-II roofing system is lightweight and styled with scalloped curves that simulate low-profile roofs, fitting for any type of property. Like all Metro Metal Roofing Products, Tile-II offers an amazing wind warranty, capable of standing up to the worst storms. Metro Tile-II comes with a 50-year warranty, and comes with a 120-mph wind warranty. Here’s a list of different Minnesota Cities and Regions we sell and install Metro Steel & Metal Roofing for. Check to see if your city is listed below, if you don’t see your city there’s a good chance we’ll still service your area. As one of Minnesota’s fastest growing roofing contractors, we offer roofing estimates, roof repair, roof replacement, roofing supplies, steel & metal roofing, slate roofing, fiberglass shingles, composite roofing and more to these Minnesota cities. Finding good Steel Roofing Contractors doesn’t have to be hard. We provide the same services as other roofing companies at a lower cost. 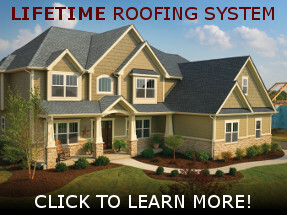 Our roofing estimates are always free and we host one of Minnesota’s largest Roofing Showrooms. Call today, and schedule your free roofing estimate.